This is the home of all things Lina, a hobbit lass on the Laurelin server of Lord of the Rings Online. 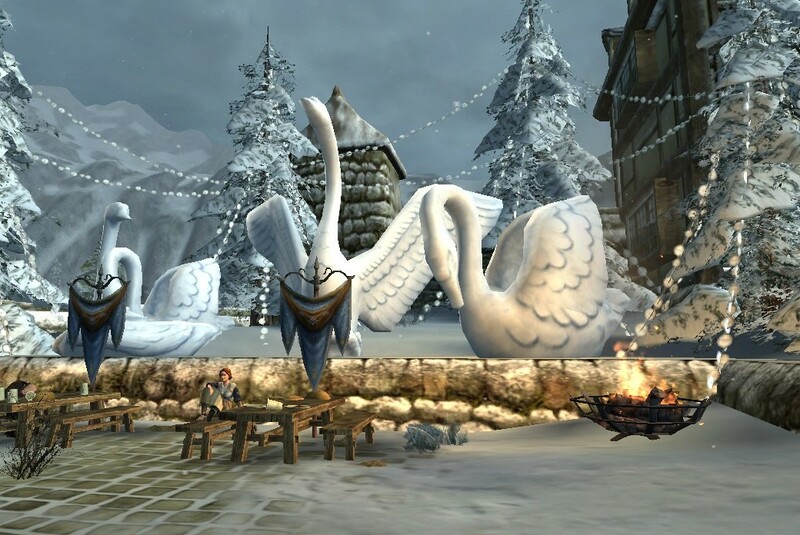 Here I write about the things I do in LOTRO, including songs, stories, pictures, videos and poems. Much is related to the Grand Order of the Lost Mathom, the kinship I am a member of. I also run a calendar of in-game hobbit events on Laurelin. Enjoy yer visit! Home: Born and raised in Brockenborings. Currently living in 6 Myrtle Court, Bramblebury. Relatives: Ma, living in Brockenborings. Work: Bard (although ma says that is hardly a line of work), mathom seeker, sometimes theater actor. Animals: More than a hundred ponies. A small sheep dog pup, Abby, daughter of sort-of legendary Brockenborings dog Ruff. Two more dogs have come by too in recent years, Tulip and Cherry. Also: Tabby the cat, a house mouse and a songbird. Likes: Traveling the Shire, studying mathoms, wandering the Greenfields, learning songs and stories of old, biscuits (! ), Green Dragon Fridays, fireworks. Dislikes: Bagpipes, goblins, scary caves, big folk stepping on her. Getting a bit worried over pigsties and the colour orange. Favourite instrument: Me old lute that me pa gave me when I was little. Friends: Members of the Grand Order of the Lost Mathom, but there are also many, many others. Favourite parts of the game: Roleplaying, music system, creative storytelling, the odd adventure.